A woman is not a woman until she’s made a tivaevae. Spirit of Tivaevae (Te Vaerua o te Tivaevae) is a documentary project where cultural tradition and modern living collide. 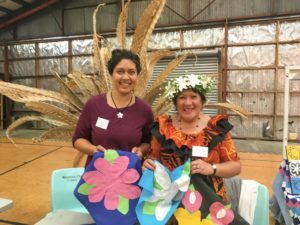 What does it mean to be a modern Cook Islands woman? In an increasingly digital world how can the traditions of tivaevae change who we become? Sharing the stories behind the art is an opportunity to inspire a new generation to reflect on their heritage before key cultural arts are lost to time. This project and website began in 2013 with the goal of making a feature length documentary film. Spirit of Tivaevae is a living project documenting my own learning process in making my first tivaevae as well as the stories of other tivaevae makers. Kia Orana! My name is Melodie Turori. 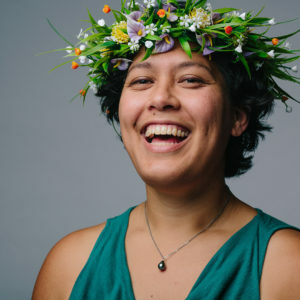 I am half Kuki Airani – my father’s family comes from the beautiful islands Aitutaki and Pukapuka. On my mother’s side we are Swedish and German. I was born in Aotearoa New Zealand but grew up in sunny San Diego with an ocean between me and half of my family. It wasn’t until I was an adult that I began to learn about the island side of my heritage. What I’ve found is a deep well of wisdom and a culture with a rich history of art. Exploring of Kuki Airani culture has been life changing, the final piece in sorting out who I am and who I want to become. The impact extends beyond identity and into nearly every part of my life. Through the Spirit of Tivaevae project I’ve gained mentors, friends, knowledge, and a life purpose in documenting stories of the Pacific.